Product Detail Summary: The undead from the Zombies Horde shamble forward with intent on converting you to their infected masses. Infesting a small buildable terrain, each of these five zombies are made with such incredible gruesome detail that you can almost hear them march. 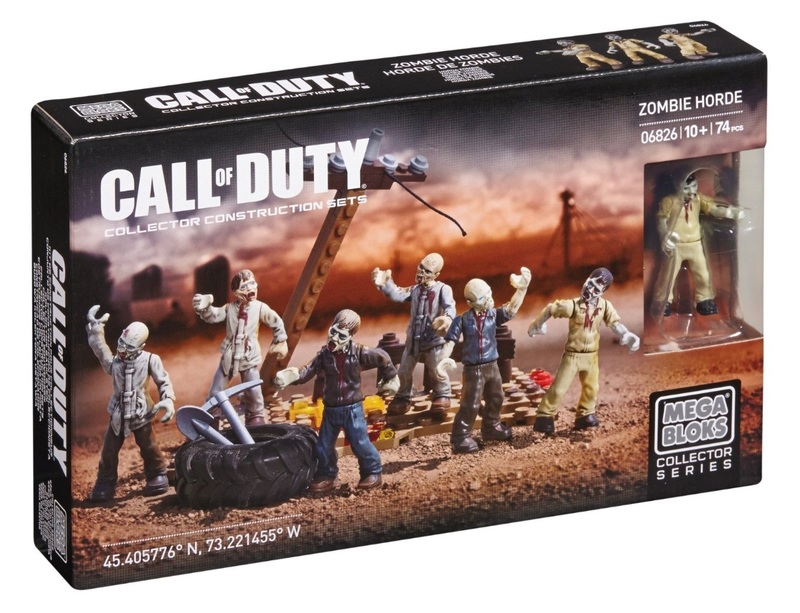 The Zombies Horde comes with multiple accessories that can double as weapons to fight the shambling dead. • Interchangeable accessories and weapons that include a spare tire, shovel, pick, and wooden boards.